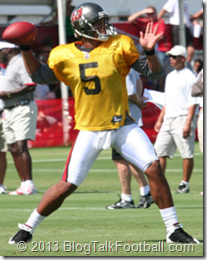 More NFL Drama: Tampa Bay Buccaneers–Is Josh Freeman Getting Shafted Publicly? Freeman finds himself being cast aside by a regime that never really seemed to want him there in the first place. Why would a team look for a veteran quarterback in the offseason, draft a third rounder after failing in free agency, and then start a vicious cycle of press leaks and character attacks on the guy they call their “starter” that would make any team think twice before selecting him? We are wondering the same thing. This story has gotten more and more surreal as the days pass. 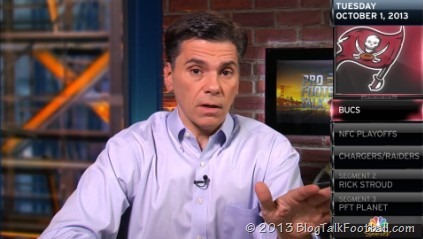 The creator, curator and overall guru of ProFootballTalk.com, the great Mike Florio, talks about how all this got started, and the best way for the Bucs to stop this nonsense. The Buccaneers may or may not have started this, but until it is fully aired out and communication restored among the team and coaching staff, both the Buccaneers and Josh Freeman will be suffering. If Freeman was volunteering to take random drug tests, why couldn’t he be taking them offsite? Because of laws prohibiting the dissemination of medical information – which Freeman’s Adderall prescription is – the person (or persons) responsible for leaking this could end up in serious trouble. So we sure don’t expect a contribution from them in the near future. 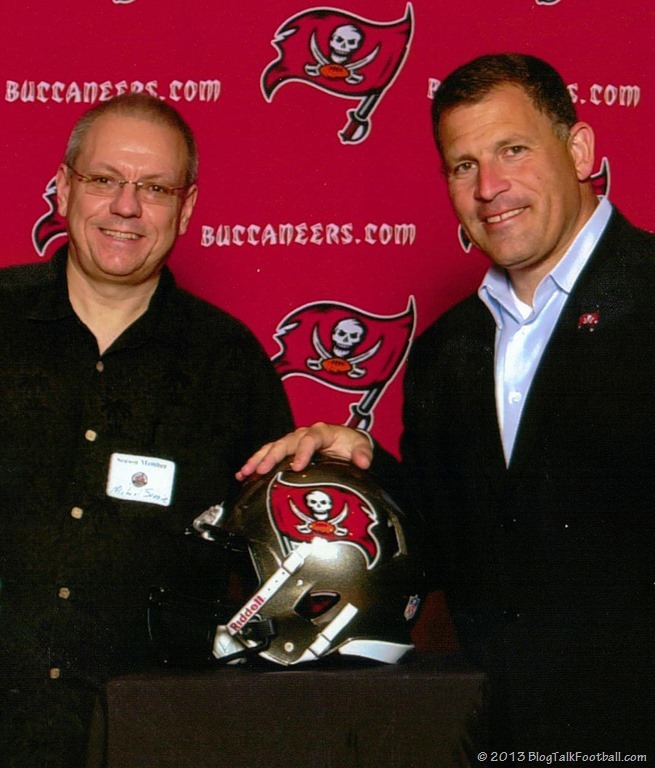 Tampa Bay Buccaneers coach Greg Schiano told local reporters that he was “absolutely not” the individual who leaked confidential medical information about QB Josh Freeman. While we try and stay editorially neutral in this story, I find that this is getting ridiculously blown into a career ending situation for Freeman, Schiano and Dominik. Misunderstandings happen. Someone sees Freeman peeing in a bottle at One Buc Place, but they don’t know the whole story. They want to feel important, so they leak the information to one of the press people who is chomping at the bit to get his or her name spread around the sports networks. Meanwhile, teammates talk about it, begin to wonder about Freeman. They don’t vote him captain, because of that doubt. The question is, did the front office help spread this? We may never know. 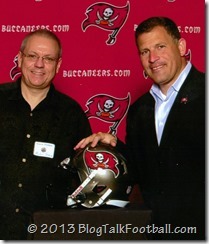 Greg Schiano has been maligned by the sports news networks. They are looking for him to fail. We don’t know his heart, whether he is part of the problem or not; yet the stories and questions from all sides suggest that he has not done enough to help diffuse this situation. Someone on that team is leaking information to try and undermine it – until that leak is fixed, the Buccaneers may be challenging the Jacksonville Jaguars for the number one pick in the 2014 draft. Have an opinion on the situation? Leave a comment below or on the Blog Talk Football Fan Page!